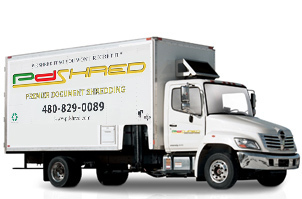 "We shred it, so you won't regret it!" We hire retired police, veterans, and first responders. Our Certificate of Destruction provides you with the peace of mind from knowing that your information is securely destroyed in full compliance with FACTA and HIPAA. Our PRICING is ALL INCLUSIVE. We charge per pick-up (not per pound). No extra pick-up fees or fuel charges. The price we quote is what you’ll see on your invoice. Shredding is in our name but GRINDING is our game! Continuous strip shredding is now in the past. We GRIND our client’s sensitive documents Off site or On site. 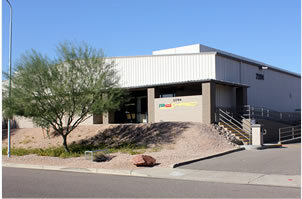 Premier Document Shredding of Arizona provides document shredding and certified document destruction services to businesses and the municipalities located in Maricopa County including, Phoenix, Mesa, Tucson, Glendale, Peoria, Scottsdale, Tempe, Gilbert, Chandler, Surprise, Avondale, Sun City, Buckeye, Anthem, Cave Creek, Queen Creek, Globe, Apache Junction, Casa Grande and Florence. What is Secure Paper Shredding? Secure paper shredding is a must-have for any business concerned about protecting client information, safeguarding intellectual property, securing information obtained under non-disclosure or preventing corporate espionage. Sensitive information that falls into the wrong hands can have devastating consequences for a business and consumers alike. For this reason, the destruction of personal information and patient information is often required by law. Professional service companies should be aware of the legislation regarding the safeguarding, retention and destruction policies for their industry. For example, medical and healthcare professionals must make sure that certain records are destroyed on a daily basis. Putting an employee in charge of document destruction is not only risky but also an inefficient use of your payroll. Service charges vary, but in general, you will save about 17% by hiring our service rather than trying to do it yourself. 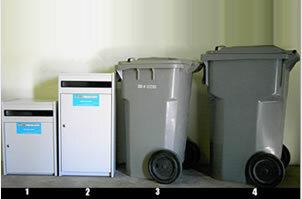 From a security standpoint, employees should not have access to the documents or shredded files. Although there are government regulations regarding what documents must be destroyed, there are few regulations concerning how the destruction should be completed. Using a typical office shredder does not provide the highest level of security. It is possible for thieves to reassemble the documents. Using a service like Premier Document Shredding ensures the documents cannot be reassembled by anyone. Written documents might not be the only thing that your company needs to destroy. Data stored on CDs or DVDs may be a security risk. 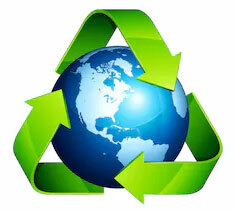 X-rays, videotapes and other items should be disposed of properly, not simply thrown out with the trash. An office shredder cannot handle those items. Why Choose Premier Document Shredding? At Premier Document Shredding in Arizona, we use state of the art document destruction techniques to effectively destroy all physical media types. Our shredder grinds documents into a paper fluff that cannot be recognized or reassembled. The security of your business’ information is our first priority and we take great measures to ensure our facility, equipment and people meet the highest possible standards. 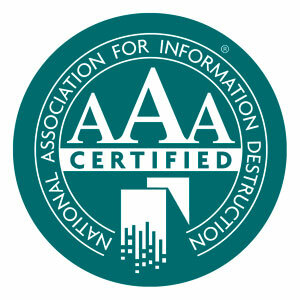 As a proud member of the National Association for Information Destruction, we stay abreast of the latest regulatory requirements and best practices in the industry. 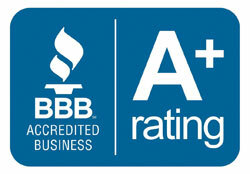 Our continuing education and passion for excellence translates into providing Arizona’s finest shredding and document destruction service. Over the years, our recycling program has helped save thousands of trees and provide a low cost, high quality form of clean paper for recycling. The ground paper from our facility is sold to local Arizona paper mills and transformed into everyday consumer products and packaging. To encourage recycling and raise the awareness for secure document destruction, Premier Document Shredding hosts community shredding events where consumers and small businesses can drop off their documents for secure shredding at no cost. Paper and documents collected during the shred event is securely processed and then recycled. To learn more about our services and receive a free quote, please call (480) 829-0089 in Central Arizona or (520) 461-1709 in Southern Arizona or contact us.